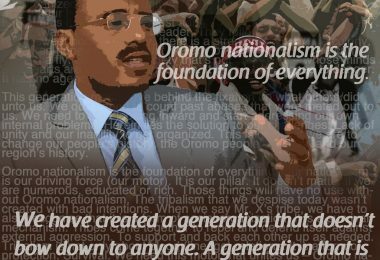 If one were to size up Albasa Dagaga’s recent op-ed, “The Oromo Quest for Independence: The Elusive Leenco Factor,” written in response to Laaloo Guduru’s and Raammoo Cuqulisaa’s pieces, one cannot escape summing it up as a Babel Tower of self-defeating, self-contradictions. Levelling false charges and making unsubstantiated accusations left and right, he knows full well that he treads on thin ground. Nor does it appear that it is lost on him that he is on a fool’s errand. As a stratagem, Albasa deployed, albeit unskillfully, four clever techniques to make up for the fallacies dogging the thrust of his argument — that not just Laaloo, Raammoo, and Leenco but all disagreeing with him, without exception, are “turncoat,” “capitulator,” “defeatist,” and “sellout” Ethio-Oromos, in short evil traitors out to sabotage the struggle by frustrating his fellow “Oromo nationalists’” utopian efforts. 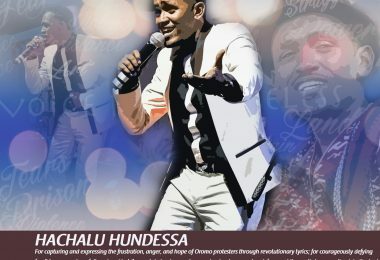 If this was an attempt to overcome the image of a boxed-up loner that his writings paints him out to be and pose as a genuine Oromo nationalist with the best interests of the Oromo people at heart, this is a brilliant gimmick. But the problem is, as I will show latter, that this can hardly be the case. Fourth, when all his attempts to rescue his Babel Tower of self-defeating self-contradictions from collapsing upon itself miscarried, he quoted extensively from two conservative writers, Edmund Burke and Marcus Tullius Cicero. This was done with a grand ambition: to lend a badly needed veneer of respectability to an otherwise despicable diatribe and a below-the-belt personal attack. Even here though, the poor guy came up short by not bothering to check if and whether the analogies he wanted his readers to draw were apt. Albasa fails to tell us why he is charitable to those who continue to wield the remote control from afar while charging those alleged to have committed the same crime 20 years earlier with high treason. Third, Albasa credits Leenco with wisdom for “avoiding the hardship and trauma” during the anti-Dergue struggle waged by OLF. While lamenting his opponents for failing to “understand the true meaning of gallantry, sacrifices, heroism, and valor,” Albasa seems to be confused about the true meaning of wisdom. Unless of course Albasa’s is talking to us in Orwellian speak where to do wrong is wisdom and to do right is ignorance. To my dismay, Albasa failed to make any distinction between those who are actually facing the enemy head-on and those who are only “insisting” to do so from a safe distance. The mother of all contradictions, Albasa belabors to convince us that Leenco is an insignificant personality in the Oromo struggle. While accusing Laaloo and Raammoo for aggrandizing Leenco’s role, a charge which the record does not support, Albasa ends up endowing him with mystical abilities. Between 1994 and 2012, Leenco held no helm of any Oromo organization. Albasa fails to tell us why the attempt of a single person to “unilaterally trying to change the Political Program of the OLF” should be a matter of concern to anyone, let alone any organization. 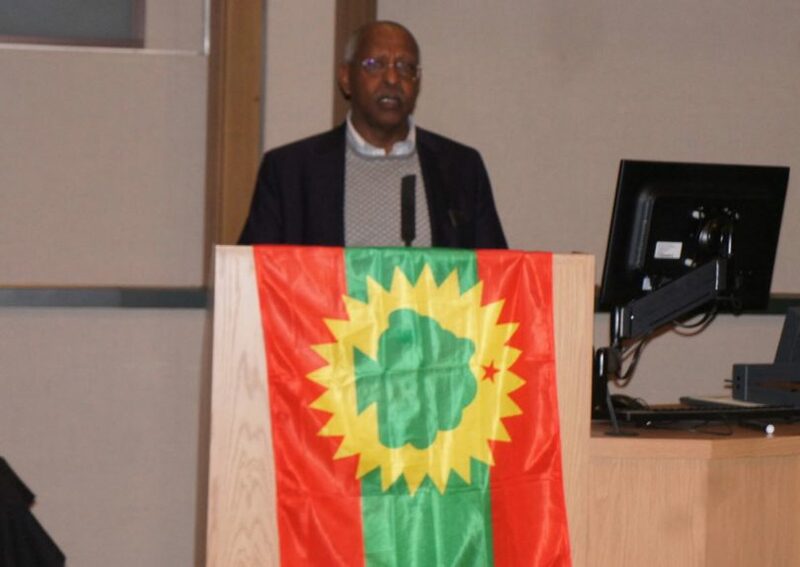 Moreover, Albasa fails to explain how such an insignificant personality managed to “hold the Oromo struggle hostage” and prevent Albasa & Co from building the “brute force” with which to “free Oromia from the yoke of TPLF.” Unless Albasa’s “gallantry, sacrifices, heroism, and valor” is only on paper, no single person, let alone an old man holed up near the North Pole for over two decades, cannot do this unless endowed with some supernatural powers and uncanny qualities. Unless Albasa is unconsciously suffering from the very “disdain and contempt” for his people that he accuses others of, it is beyond credulity to fathom how anyone, let alone Albasa who portrays himself as a learned and well-read person, would believe that such an insignificant person can single-handedly start and sustain a “civil war” lasting “for the past 40 years.” The fact is neither Laaloo nor Raammoo associated Leenco with any supernatural powers but rather Albasa, in which case he should be the one accused of exaggerating Leenco’s role. For them, Leenco is an Oromo nationalist, one of many martyred or alive who have given their lives for their people’s cause for freedom and justice. Now to the false analogies. Quoting Burke, Albasa puts himself in good company, among the very few “good men” who are “indebted” to their people never to allow “the triumph of evil.” Self-charity is understandable. What is bothersome is Albasa’s callousness to call all those who disagree with his self-contradictory and self-defeating arguments traitors. This line of argument approximates that of Pol Pot and the authors and ideologues of totalitarian ideologues than that of the Jeffersonian vs. Hamiltonian debates that ushered “a new nation, conceived in liberty, and dedicated to the proposition that all men are created equal.” What Albasa’s type of reasoning, for he is not alone, portends is not the Free State of Oromia “unmolested by Abyssinian rulers” that he preaches about but rather the many failed states that came to ruin as a result of tyrannous orthodoxies that equate dissent with treason. Last but not least, Albasa makes one last desperate act to gain a veneer of respectability and show off his credentials as a learned man, a mask to camouflage his unveiled personal attacks, through a quote from Cicero. Even here, Albasa could not get it right. What Cicero was alluding to was not the known enemy that “carries his banner openly” with openly declared views and intentions but one who “works secretly.” Both ODF and Leenco have been carrying their banners openly. ODF’s objectives are no secret. 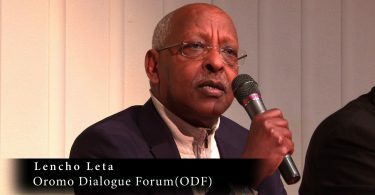 Leenco’s view is also a matter of public knowledge, at least since his book, “The Ethiopian State at the Crossroads.” Where is the secret? Perhaps in Albasa’s figment of imagination? Go figure. * The writer can be reached at esiinxaro@gmail.com.